For the seventh successive year Fuji Speedway will play host to the FIA World Endurance Championship and the many thousands of enthusiastic fans who make the annual pilgrimage to Fuji will see 34 cars on track, offering exciting and sometimes unpredictable action at the highest level. 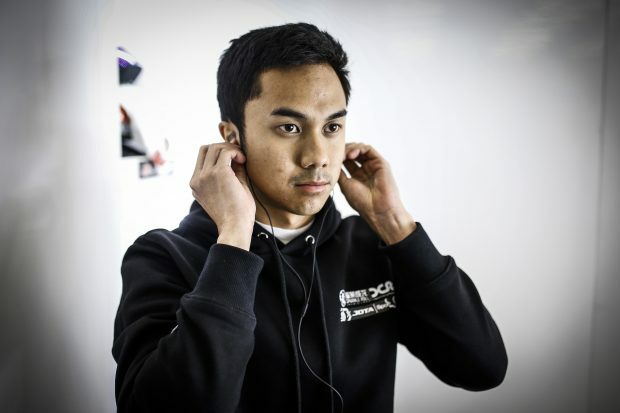 Jazeman Jaafar, Weiron Tan and Nabil Jeffri are driving the Sepang International Circuit supported Jackie Chan DC Racing Oreca 07 – Gibson LMP2 sportscar in the FIA World Endurance Championship Super Season, spanning eight race weekends including two Le Mans 24 Hours events. In the first three races Jazeman has been in the top five each time including a fourth place at Le Mans 24 Hours and pole position with a podium finish in second place at Silverstone last time out. This week’s event is the fourth round and another 6 hours racing at the famed Fuji Speedway, with Japanese tennis ace, Kimiko Date waving the green flag for Sunday’s race. Friday practice sessions are at 11:00 and 15:30 local time, Saturday final practice is 09:30 with qualifying for the LMP2 cars at 14:30. Sunday’s 6 hour race starts at 11:00. Follow all the action on the WEC App and watch the race online at GTWorld. Fans can also tune in at Eurosport in Asia, check listings for local times. Keep in touch with Jazeman’s racing updates on his Facebook Live page, twitter and Instagram.